If you haven’t already done this yet, you likely will sometime in the future. More and more employers and hiring managers are using video interviewing at some point in their screening process. This cuts down on travel costs for all parties involved and with the popularity of telecommuting, it is becoming more popular and more accepted. Still, most job seekers are less than confident in their video interview skills. There are lots of differences, yes, but there are similarities, too. 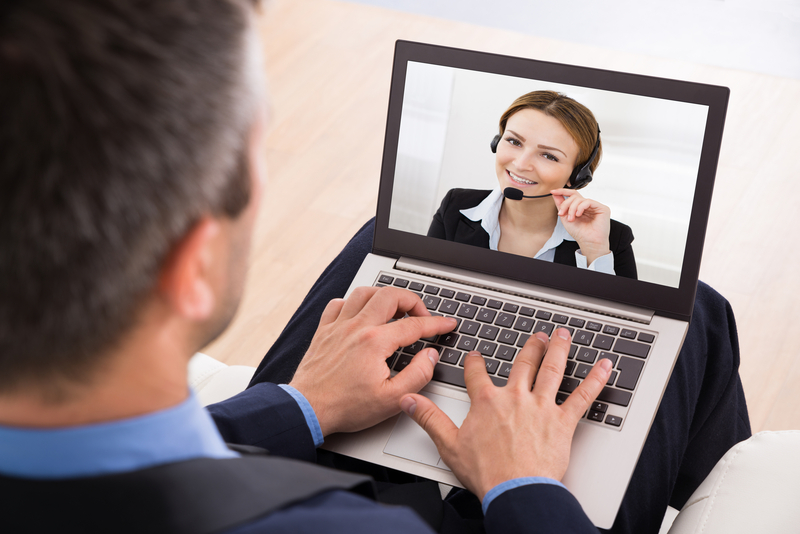 Make sure you have a profile for Skype or Zoom, which are commonly used for video interviews. Your profile should have a straightforward username and a high-resolution, professional-looking profile picture. Test the interview app you’re using at least 10 minutes before the interview to make sure it works. Don’t forget to check your computer’s battery level. Check to see if the camera is working properly and that the webcam is angled correctly. Mute your microphone until the interview begins and mute yourself when you’re not talking. When speaking, remember that there’s a lag time because of the Internet transmission. If the interviewer just finished talking, allow for a one second interval before you start talking. That way, it won’t sound like you’re interrupting them. Make sure your hair, clothes, and makeup (for ladies) looks right on camera. Your interviewers have only that small screen to focus on instead of natural surroundings, so everything will be magnified. Don’t fidget and beware of clicking your pen or tapping your foot. Close all applications and browser windows on your computer. Turn off all alerts to avoid distractions. Don’t look at your phone or chew gum. If you are at home, remove the dog or children from the area. Treat your video interview as if it was a real in-person interview. Just like regular interviews, you will need to do your homework and research before doing a video interview. Review the job description and highlight relevant past experience. Don’t forget to go over the website of the company carefully. Read their mission statement and recent innovations and developments. This is a necessary part of interviewing, as you should be interested in these aspects if you want to eventually work at the company. As a bonus, the reading and knowledge will make you feel calmer and more confident. Resist any temptation to wear sweat pants (or no pants) for the interview. You never know. You might need to stand up at some time during the video interview. It will help you feel more professional as well. Even if you are doing the video interview from home, make sure you have a clean, uncluttered room with a door to give you some privacy. Make sure you have no interruptions. Avoid dim lighting, and aim for clear, bright lighting, so that you can be seen on video.